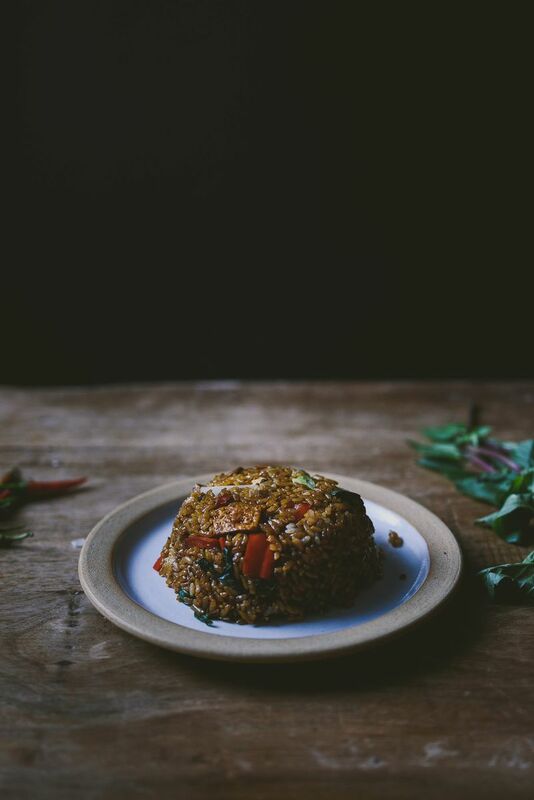 Not your typical fried rice, this Thai-style version is flavored with chile peppers and fish sauce, then perfumed with fragrant Thai basil. On one of those days when you don’t want to put together a fancy dish, there’s always fried rice. It's what I look to when I’m too busy to whip up something more. Once you understand the technique of making fried rice, you can make numerous variations to your liking. 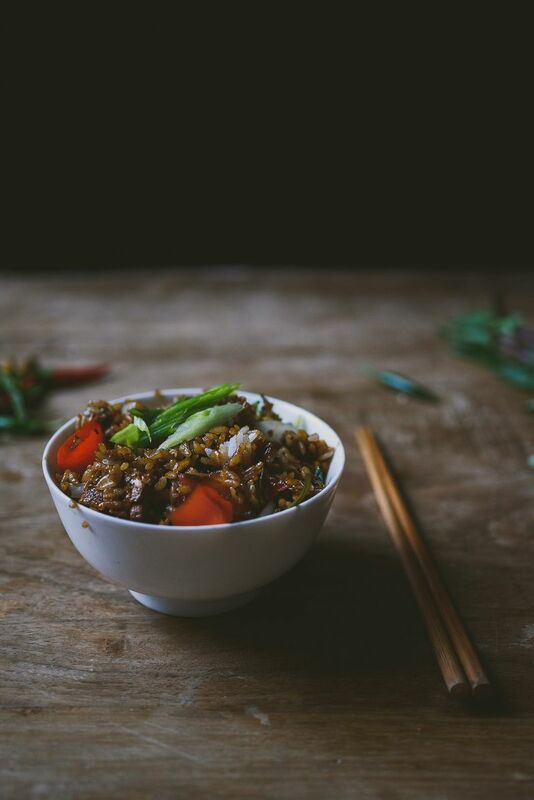 Fried rice often becomes a pantry meal—it uses up any remaining vegetables that I have—and when I add a protein like eggs, chicken, or tofu, it's a complete weeknight dinner. Because fried rice is so easy to make at home, I almost never order it when I’m out at a restaurant. There is one exception: Thai basil fried rice. It’s a bit spicy and it’s herb-y, aromatic, and sweet but still savory. Whenever we order Thai takeout, I have to get this dish. Well, it turns out that even Thai basil fried rice isn't hard to make at home. The trick is to use real Thai basil, Thai chile peppers, fish sauce, and a tiny squeeze of lime to finish! Thai basil is a highly underused herb. It gives a faint licorice fragrance that completely transforms the flavors in a dish. Here, the Thai basil is added right when the heat is turned off. 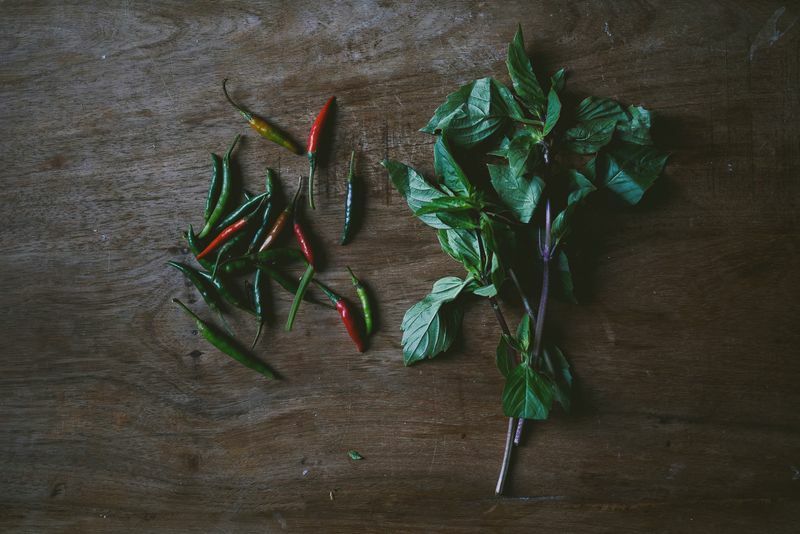 When the fresh Thai basil is gently folded into the steamy rice and stll-hot wok, it transforms the entire dish and enhances the flavors of the garlic, chile peppers, and sauce. A wonderful smell will waft up almost immediately—this is the signature aroma of Thai basil fried rice. 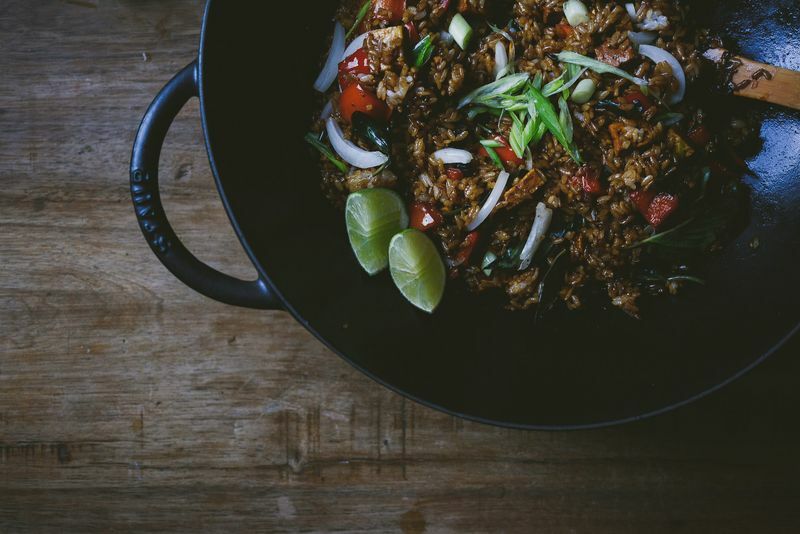 Don't confuse this recipe with Thai holy basil fried rice. Holy basil is another basil variety that intensifies the heat of the chile peppers. 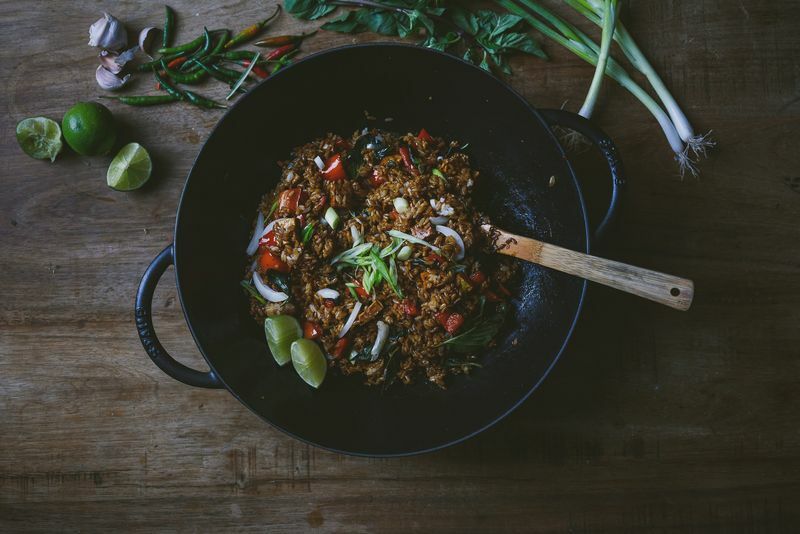 All my Thai friends laugh when they see one mislabeled for the other—the two dishes are quite similar, but holy basil fried rice is typically served with an egg on top and is spicier and more pungent. My mom is a serious Thai food lover. Whenever me and my mom would go out to eat for lunch we would always go to any Thai restaurant that was in the area. This recipe looks right around alley, I would love to take this recipe over to her house and try to cook it for her. We have our days where we just cook for one another and can't wait to surprise her with this recipe. Thanks for sharing!